Interested travellers will contact you by Phone or email. Your email will not be published on the listing page but the renter can simply fill in the contact form and you will get an email with all renter information and required dates. NO. We are a Tripz website and our motive is to maximize your property exposure by providing you more leads from around the world from prospective renters. Our job is to make a direct contact between property owners and renters. Renters would pay you directly. 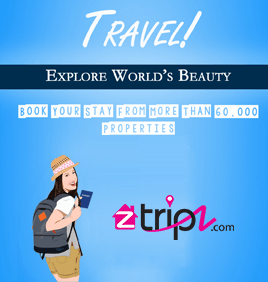 How are properties promoted on Tripz.Com? There are many attributes related to a final booking. You would have to keep some important points into consideration -: - Very competitive rates - Prompt reply to the inquiries - Add as much Description and Pictures as you can on your listing - Update the availability calendar regularly. Call our customer services team on the number below to speak to one of our advisors who will help you with all of your Tripz needs.